"When I started my personal chef business I needed to show potential customers what my service was about. It's not easy to photograph food and make it look delicious! I chose Marleen and Photo Art Works because I had seen her work and was really impressed. But I also knew I wanted to work with someone who would be attentive to my needs and easy to work with. Marleen did not disappoint- she made the shoot enjoyable. And I was so pleased with the final result. If you want to make an impression with your product or business, let Photo Art Works tell your story in pictures. You will be glad you did." 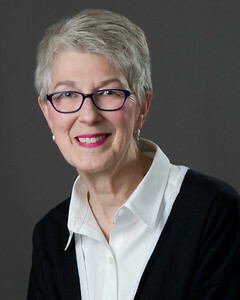 "As a new author in need of an updated professional photograph for the back cover of my book, I was fortunate to have come into contact with Marleen Cafarelli. 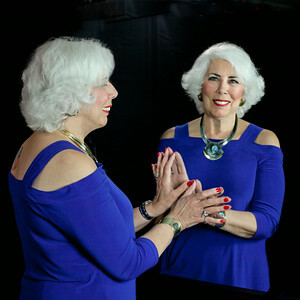 I had the idea that I wanted the photo of me to be a reflection of me because the title of my book is "Clothes Encounters of the Divine Kind -Where Image Reflects the Truth". Marleen went out of her way to come up with the perfect mirror and the perfect shot of me and my reflection for the book. She is open minded and extremely creative in her work as a photographer. I will continue to use her as my needs in the area of a photographer come up and I highly recommend her for any type of photography you may be in need of." "I used the professional services of Marleen from Photo Art Works for a home staging project I was working on. I was extremely pleased with the keen eye for detail and recommendations that Marleen shared with me to have the shoot go very smoothly. The photo results were exceptional and my client's home was sold. I continue to show these photos to my clients for inspiration for their homes." "Marleen is a true professional and proficient at her craft. She captures the essence of the subject in her pictures, and creates a relaxed environment which made it very comfortable for me to pose for a portrait. I was thrilled with the results. I am not one to be easily pleased with pictures of myself. I have used Marleen several times for a variety of needs including pictures of my animals. It is difficult to capture the true essence of a horse in motion and she did a brilliant job. I continue to trust her expertise when I need a real professional to capture the moment perfectly." "I have known Marleen and Bill since 1997. I used them to video graph my wedding and I was completely amazed at how beautiful the video came out. It even won an award! Since then, I have hired Marleen and Bill for a number of projects, including professional headshots and corporate videos. Bill’s video skills are outstanding. Marleen’s photography skills are exceptional. Both Marleen and Bill are professional, courteous and fun to work with. "Bill, Just a note to say Thank You for converting my VHS video to DVD. What a joy it was to see it again. Such memories brought back to life. Thank you again." "Marleen: I just wanted to thank you for taking such a great picture of me. As you know, I needed a nice, professional picture for marketing myself and my mortgage business. I was so happy when you sent them to me already formatted for business cards, web sites, linked in, etc. because I don't know how to do it myself. As we discussed, I am not photogenic and you made me feel so relaxed that I actually smiled without looking like someone plastered it on my face! Thanks for everything ... a great picture and a great relief. Warm Regards"
"Marleen was wonderful to work with. She was thoughtful and persistent and worked hard to get the right image, composition and detail for every shot. She was very open to suggestions and also would not hesitate to speak her own views when it was needed. She was able to project and capture just the right mood that best expressed the final outcome of my architectural projects. I would not hesitate to recommend Marleen." "Marleen, thank you so much for all the work you've done to create a beautiful photo album for our 25th anniversary. You are truly talented and I can't wait to have you create one with my precious 1st grandchild! I am glad I had the opportunity to get to work with such a nice person! "Bill, all is going well. Videos are on point and looking great. The instrument's pictures allowed for compelling visuals. Thanks." Tim Nolan, Marketing and Strategy Consultant for Surgiquest, Inc. There are not enough superlatives in the dictionary to describe the amazingly beautiful photos and imaginative, high quality videos that Marleen and Bill Cafarelli have produced for us – for our business and for us personally. When you see their finished products, you know you have chosen the best there is in their field. Photo and Video Art Works aptly describes their work – works of art! Bill developed our very first video for our website – an artfully-done instructional video demonstrating several of our products. Since “pictures are worth a thousand words,” we were able to cut down on the verbiage on our website (which nobody reads anyway) and convey everything our customers needed to know in a 2 minute video presentation. People get it when they see it! Bill has produced all of our subsequent videos as well as crystal clear product photos that we could never have produced with our amateur equipment and limited skills. By the time our customers call to place an order, they have a clear understanding of what we’re offering. Bill deserves a lot of the credit for our upsurge in business. He also tells some pretty good jokes! Marleen’s photographic skills are second to none. She can capture the essence of a product, a person, a relationship, a landscape, a nesting hummingbird, a parade, a birthday party – whatever the subject, she knows how to make it real and artsy. Her photos are not simply photos; they are a combination of expert equipment, lighting knowledge, creativity, imagination and, in many cases, an in-depth insight into the personality of her subjects. The most beautiful and touching gift that Marleen gave me was a bound book of photos of my Mom, a keepsake that will always be by my side. The day Marleen took the photos, Mom was not very responsive to anything or anybody, never mind to having her picture taken. But Marleen got her to smile and maneuvered Mom into poses, with and without family members, that only a true artist with some very special people skills could have accomplished. For anyone who has a loved one they’d like to keep by their side permanently, the “Mom Book” is the most special way to remember them. Aside from their professional and artistic skills, Marleen and Bill are really great people. I always enjoy working with them and am amazed at their finished products. For some things it may “take a village”; but for the highly skilled and talented Cafarellis, all it takes is an artistic eye and a special love for what they do. 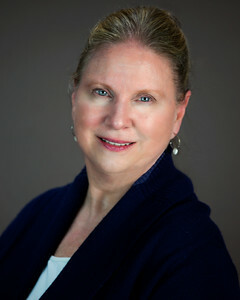 Jeanne Foege, Co-Owner Robert Louis Co.
Videoartworks provides the highest standard of technical services along with the rare sensitivity to the individual needs of the artist. Their personal care and attention to detail in the most expeditious manner is unrivaled in the industry. Their variety of expertise in graphic as well as video production is unmatched. I was looking for a good professional photographer to do a headshot for my author website and social media sites. I'm so happy to have found Marleen Cafarelli. She's a pleasure to work with and did a terrific job. She gave me her total attention, and I never felt rushed. I will definitely use her again, and recommend her for all of your photography needs! Marleen did an excellent job at the family photo shoot for our parents 70th birthday. She successfully wrangled a hungry group including two toddlers. Not an easy feat. She and Bill were patient and professional, as well as creative. We highly recommend her for any of your photography needs! Marleen, because of the wonderful photographs you took of my husband last year, he insisted that I come to you when I needed professional photos for my websites. I’m so glad I took his advice! The experience of working with you produced the best photos I have ever taken. You created an atmosphere of comfort, ease and warmth, which allowed me to relax and enjoy the process. I know you are a true artist and believe you worked creative magic on my photos. The positive reaction to the photos has been a delightful surprise. You have my sincere appreciation and highest recommendation. It is easy to tell when you are working with a professional. Rest assured, you will know that is the case when you have a Headshot taken by Marleen! Her calm manner put me at ease. Her suggestions to sit this way and that way and tilt and turn, while at the time didn’t mean anything to me, when I saw the outcome, they did! I am not particularly photogenic, but Marleen made me look that way! She also gave me honest feedback when I was trying to decide on the final choice; again, invaluable information from a professional.